Imagine an ad that allows you to target customers with relevant ads at all stages of the sales funnel, an ad that allows you to either simultaneously feature multiple products in one creative or to feature products your customers either viewed, placed in their cart, or purchased. That ad you imagined is not a fictional product. In fact, it’s a Facebook ad called a Dynamic Product ad. Unlike the regular Single Image and Video ads that preceded this format, Dynamic product ads, which debuted in 2015, are ads that advertise products from your product catalog. These ads work well for targeting customers who have viewed your product, placed products in their shopping carts, or purchased specific products. Indeed, Dynamic Product ads target audiences in all stages of the sales funnel. How does Facebook know which stage of the sales funnel customers are in? It’s simple, really. Facebook uses the Facebook pixel to track which pages of your website your customers visited (i.e. product catalog or checkout) and, based on its findings, will serve a relevant product to that customer. For example, if your customer browsed through your collection of fur coats, your ad will advertise that same product. If your customer added a fur coat in her cart but did not make a purchase, your ad will remind your customer to finalize her purchase featuring that exact product. Dynamic ads are great tools that push interested customers to make a desired action. Intrigued? Then read on. This posts discusses the difference between Dynamic Product ads and Multi-product ads, the requirements of creating Dynamic Product ads, and the steps to creating Dynamic Product ads. Before there were Dynamic Product ads, there were Multi-Product ads. Because many Facebook advertising agencies confuse the two, it is imperative that a distinction is made. Multi-Product ads have the ability to feature multiple products in one ad unit. These ads contain up to 10 images and videos that customers can scroll through. Each image contains a clickable link to your landing page, a headline, and, if desired, a call-to-action button. Sounds familiar? 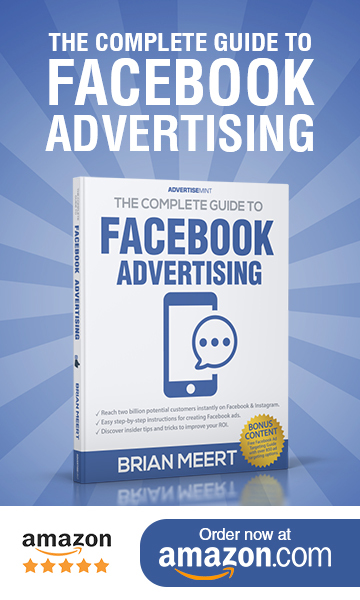 This is one feature that it shares with Dynamic Product ads, and consequently, the feature that causes Facebook advertising agencies to confuse the two. Unlike Multi-product ads, however, Dynamic Product ads have the ability to either feature multiple products at once (like Multi-Product ads) using the Carousel format or feature products relevant to customers in specific stages of the sales funnel using the Single Image ad format. Thus, unlike Dynamic Product ads, Multi-product ads cannot change according to your audience. It shows the same ad to all audiences whereas Dynamic Product ads change according to the current sales-funnel stage your customer is in. An ad account or access to an ad account. An online product catalog. You can use the existing catalog you use with other online shopping portals. Note: the product catalog you create on Facebook must have a product ID, name, description, landing page URL, image URL, and availability, among many others. The Pixel Helper Chrome Extension to help you check your pixel. If you want to create a Dynamic Product ad, follow the steps below. To begin, you must first upload your product catalog (also know as a product feed), which is a list of products you advertise on your Facebook ad. Each product in the list has specific attributes which you use to generate an ad: a product ID, name, description, landing page URL, image URL, and availability among many others. If you need help creating a product catalog, visit Facebook for Developers. Place the Facebook pixel on your website (or app events if you have an app) and modify it to report when customers are viewing, adding to cart, or purchasing your products.Your Facebook pixel is the same pixel used to create website Custom Audiences or to track conversions. You can find your pixel code in your ad account under Tools > Pixels. Learn how to modify your Facebook pixel or App Events in your app for dynamic ads. If you want to learn how to create a Facebook Pixel, read How to Create a Facebook Pixel. Download the Facebook Pixel Helper to help you troubleshoot your Facebook pixel and verify that your standard events are reporting the correct product IDs. Work with a website developer to get your pixel correctly installed for dynamic ads. Retarget people browsing products inside your app with App Events. Create a dynamic ad template that is automatically filled with the products in your product catalog. You can choose to show all products, the products which your customers viewed, the products which your customers placed in their shopping cart, or the products they purchased. 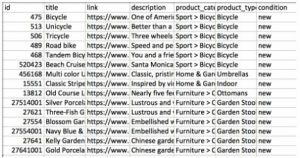 Use keywords to pull in images, product names, prices, and more from your product catalog. You can choose to show a single product with the Single Image ad format or multiple products at once with the Carousel ad format. Dynamic ads work on Facebook news feed, right hand column, and the Audience Network. With one template you can deliver ads on any device: mobile, tablets, and desktop. Use Facebook’s ads reporting to view which product ads performed the best. Optimize your dynamic ads for conversion events to get more conversions at a lower cost per action. You’re done! The only thing left to do is to run your dynamic ads for a few weeks to see which ads performed better. Remember to always A/B test. Note that Dynamic Product ads only show products that are in stock and products with the current price. When a customer purchases a product on your site, product ads are automatically turned off across devices, so the ads will never show customers products they’ve already purchased. To get started select the Product Catalog Sales objective in Power Editor, Ads Manager, or contact a Facebook Marketing Partner. Since its debut, multiple businesses have had successes with Dynamic Product ads. These are their stories. With dynamic ads, Target has been able to more easily engage consumers with highly relevant creative. The early results have exceeded expectations. Performance has been especially strong on mobile devices where we’re seeing two times the conversion rate. Dynamic [Product] ads help us connect our large product catalog to each unique shopper with relevant and timely product ads. We’re seeing strong results, including a 34% increase in click through rate and a 38% reduction in cost per purchase. 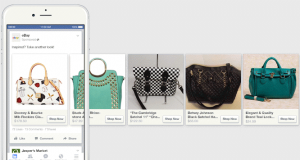 eBay customers want to shop at the moment of inspiration, and dynamic product ads are a valuable way to connect them with a more personalized and relevant selection of items as they use Facebook. We are encouraged by early tests in which we’ve seen Dynamic Product ads drive incremental traffic and conversions. 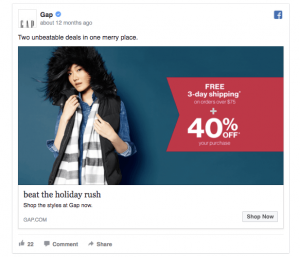 Dynamic Product ads combine the strengths of Facebook in one ad format—a highly targeted audience with highly relevant creative. Since each user sees unique creative with products they’ve actually looked at enriched with recommendations, they are much more likely to convert at a cheaper CPA compared to other ad formats. Dynamic Product ads, which are different from Multi-product ads, help Facebook advertising agencies and businesses target customers in all stages of the sales funnel. Whether you choose to feature one product using the Single Image ad format or multiple products using the Carousel format, Dynamic Product ads can advertise relevant products to a high-interest audience. 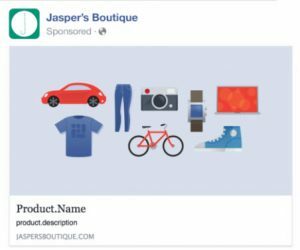 If you want to create your own Dynamic Product ads, remember to have a Facebook and Business Manager account, a product catalog, and a Facebook Pixel. Once you’ve created your ads and activated them, remember to A/B test. Now that you’re a Dynamic Products ads expert, put your knowledge to use and create your own Dynamic Product ads. 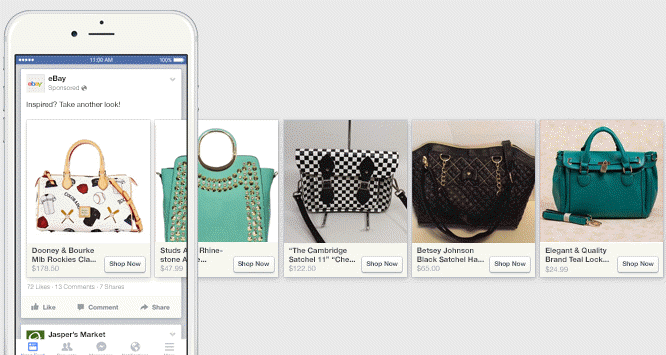 What do you think of Facebook’s Dynamic Product ads? Leave your comments below or share this post to friends.